There are two North Carolinas. It’s a common phrase used by writers, politicians, and activists in the Tar Heel State, and it’s proving to be a cumbersome, difficult reality when it comes to setting and implementing education policy. There’s rural North Carolina, where departing industries are decimating the economy as they seek out more highly skilled workers, and urban North Carolina, which has seen job growth and an influx of residents. One thing urban and rural communities have in common, though, is poverty, which does not discriminate based on geography. More than 20 percent of children live below the poverty line, with African Americans, Latinos, and Native Americans disproportionately impacted. The state legislature, which after 100 years of Democratic rule fell under Republican control in 2010, has seen a rapid trajectory toward a conservative agenda, despite a partisan divide in which lawmakers across the aisle “agree on virtually nothing,” according to a recent New York Times article. When Democrat Roy Cooper was elected governor in 2016, the legislature battled in court to restrict his power. Cooper, whose mother was a public school teacher, has said “education is the key” to securing North Carolina’s economic future. “We need to make North Carolina a top education state by 2025,” he recently said, citing as goals getting more children into pre-K, ensuring that more students receive high school diplomas, and increasing postsecondary attainment. Currently, North Carolina students score slightly above the national average in math and reading on the National Assessment of Educational Progress. Fourth-graders in 2015 scored 222 points in reading, compared with the national average of 221, and 245 points in math, versus 241 nationally. The state’s 86 percent graduation rate is two percentage points higher than the national average of 84 percent. But when it comes to the number of children in poverty, North Carolina dips below the national average. More children live in households with food insecurity and below the federal poverty level. The state also has a higher rate of chronic absenteeism (14 percent). White students make up the largest demographic within North Carolina schools (49 percent), followed by black (26 percent) and Hispanic (17 percent) children. About two-thirds of students receive free or reduced-price school lunch. On February 23, at an event hosted by Axios, presented by The 74, and sponsored by the Walton Family Foundation, Mike Allen will be interviewing Cooper about his efforts to improve education in North Carolina, especially for the state’s neediest students. Can the state overcome its differences to fix its deep-seated education problems, from dropout rates to low teacher salaries to poorly performing schools? Here’s a primer on some of the major education issues facing North Carolina residents today. In 2016, the legislature approved the state’s first Achievement School District to manage low-performing schools in an effort to drastically improve their performance. While Achievement School Districts have been attempted in other states, with mixed results, “we have an opportunity as a state to redefine what it means in North Carolina,” said Eric Hall, superintendent of North Carolina’s innovative school district. Independent evaluators gave North Carolina’s plan for complying with the federal Every Student Succeeds Act fairly positive reviews for its school improvement section. But the plan wasn’t very specific about what interventions the state hopes to use to turn around failing schools. The state rates its schools on an A–F letter grade system, but the metrics used to assign these grades are not clear, which means some failing schools could potentially not be identified. Achievement is valued higher than student growth, a system that doesn’t recognize the efforts of schools that help bring low-performing students up toward grade level. But evaluators praised the intervention systems included in the state’s ESSA plan as well as the use of data to show schools how to do better academically for their underperforming students. 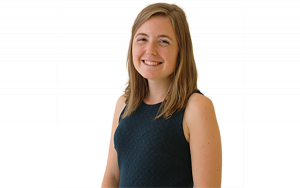 Do ESSA Plans Show Promise for Improving Schools? North Carolina’s principals and teachers are among the lowest-paid in the country, with an average teacher salary approaching $50,000. But there have been some moves to address this. The legislature increased teacher salaries this year, and the state Board of Education has created a pilot program for districts to test different pay models for teachers, such as compensation based on student test results or their leadership position in a school. Additionally, a new Teaching Fellows Program provides thousands of dollars in loan forgiveness for new teachers who agree to work in STEM and special education fields. The state altered the way it pays principals, so instead of basing compensation on experience, it will now give bonuses based on how well students perform on tests. This means that while younger principals could see a rise in compensation, older ones could lose thousands of dollars, which has some concerned about a wave of educators seeking early retirement. Some principals face big pay cuts. What does that mean for your kid’s school? North Carolina has 170 charter schools and three school voucher-like programs. The state passed its charter school law in 1996 and eliminated its charter school cap in 2011, but there remains only one authorizer in the state. Charter schools now serve nearly 92,000 students. Two of the voucher programs are limited to students with disabilities: an education savings account that gives families up to $9,000 to spend on services like physical or speech therapy, and a voucher grant that gives parents funds to send their child to a private school. The third program is for low-income students: the Opportunity Scholarship. Since its start in 2015, the program has seen growth every year in spending and enrollment. Currently, 5,000 students participate, receiving a little more than $4,000 each to use for private school tuition. The Opportunity Scholarship does not have a participation cap and is limited by the funding allotted to it, which in the 2018–19 school year will be nearly $45 million. In 2016, the legislature passed a law guaranteeing a $10 million increase in Opportunity Scholarship funding every year through 2028–29. Cooper filed a suit to overturn the law, which is still making its way through the courts. As enrollment in traditional public schools declines and requests for vouchers increase, some are calling for more accountability measures. Others argue that the vouchers don’t provide enough funding to allow low-income families to pay for private school tuition. While urban areas in the state are booming, North Carolina’s rural areas are losing industries and struggling to engage students. Dropout rates in rural schools are higher than in urban ones, and few job opportunities remain for these students, victims of the growing skills gap. Cooper recently called for more workforce development efforts through his NC Jobs Ready initiative, with the goal of getting more residents college- and career-ready. Another state program, called Hometown Strong, connects employers to workers in rural areas. State schools chief Mark Johnson recently called for improved facilities for rural schools, providing them with personalized learning opportunities, and connecting students with local jobs. North Carolina’s notorious bathroom bill of 2016, which required students to use school bathrooms that corresponded to their gender as assigned at birth, was partially repealed in March 2017. But the rights of LGBTQ youth are in the spotlight again, as the U.S. Education Department announced that it will no longer investigate complaints by transgender students about bathroom discrimination. 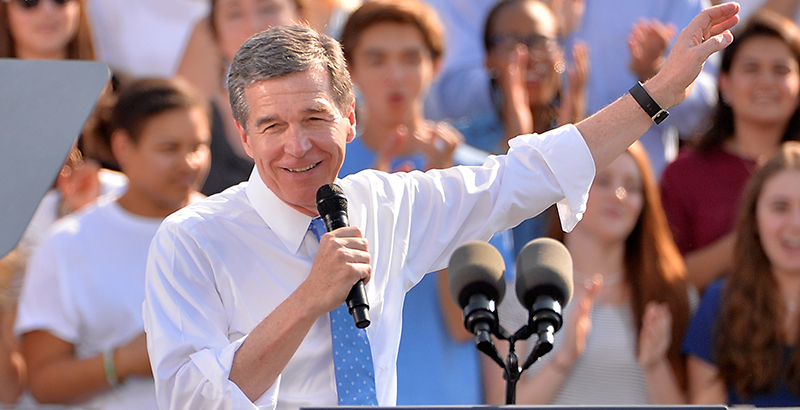 The backlash from North Carolina’s 2016 law threatened billions in revenue from businesses, tourism, and sporting events and was eventually instrumental in Cooper’s win over Republican Gov. Pat McCrory. Other politicians are continuing to use the issue in campaigns to unseat Republican legislators.